An enhanced version of the PlayStation 4 game. 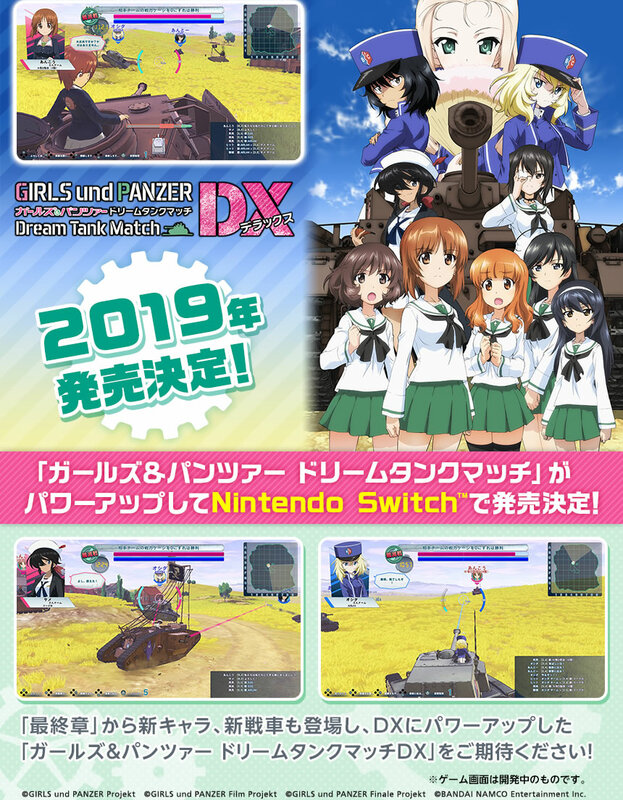 Bandai Namco has announced Girls und Panzer: Dream Tank Match DX for Switch. It will launch in 2019 in Japan. Girls und Panzer: Dream Tank Match DX, an enhanced version of the Girls und Panzer: Dream Tank Match originally released for PlayStation 4, will add new tanks, as well as new characters from Girls und Panzer das Finale: Part 1, including BC Freedom High School’s Rena Andou, Ruka Oshida, and Marie, and the members of Shark Team. Update 11/18/18 at 11:18 p.m.: View the first screenshots at the gallery.